A bearded man is introduced in a painter’s frock for his moments of fame. He grabs his palette of oils as a two-minute timer counts down in the upper corner of the screen. He scrawls color and shape on a large white canvas. What he is painting makes no sense, you think, as the seconds tick down. This thought is confirmed as the camera pans to the befuddled faces of the hosts. The two minutes is up and before the host can say anything, the artist turns the canvas upside down. Voila, before your eyes is a beautiful, realistic portrait of…the host. When the picture of our daily life has no coherency, our anxiety for the future is based on this perception, isn’t it? How can we develop the patience it takes to make sense of life with all of its unsettling currents of change? I planned a spiritual retreat this spring with a favorite teacher I rarely get to see. I rely on our connection for inspiration and guidance. I was excited. I bought bus tickets way ahead of time. I even arranged to ride with a dear friend to the center for our 4 day stay. The cancellation e-mail arrived a week before. I felt the numbness of shock and disbelief first; my heart sank. I sank further into grief then anger. I reached out and talked with others who could listen. This helped me move through the emotional impact. During the next few days I turned to a practice I love to keep me anchored in the present; reciting sacred language. The sounds unfold meanings through my entire body and provide refuge and perspective from the mind that wants what it wants. Feeling gratitude for a deeper wisdom emerging, I wrote this poem to approach what I was receiving from the recitations. Is your life currently turned upside down and no matter how hard you try you can’t see the sense of it? What gives you the comfort that lets you persevere in the face of not getting what you want? Notice what currently lifts your spirits; what you are in love with. Being in love with it opens the doors. From this list find doable things for the moment- for example taking five deep breaths will work well while engaged in focused activities and pausing longer for a walk in the woods is for a different time. Make time for this every day, no matter what it is or for how long. As the date of the cancelled retreat approached, I felt unwell, so much so a twelve hour bus ride would have been a hardship. And my friend, well, he had a deadline appear crucial to his job. 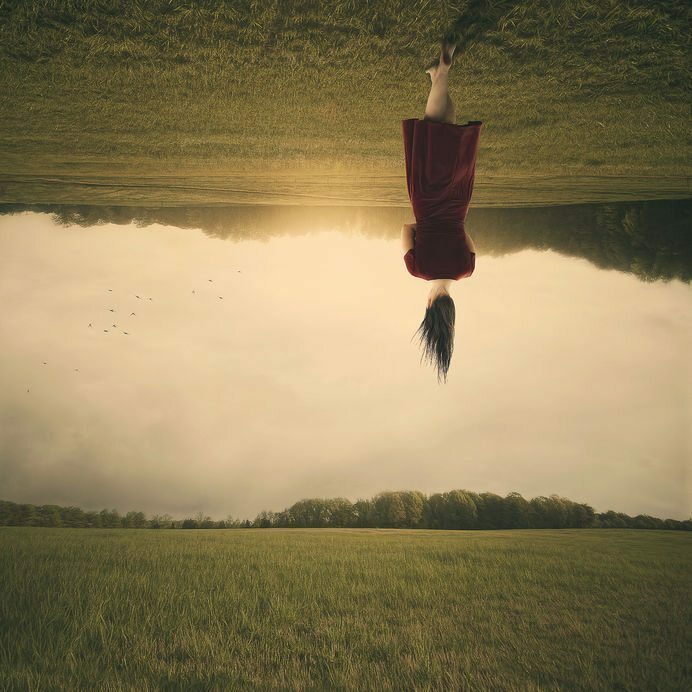 When we are living in an upside down world and can return to what we love, we can find refuge. This renewed presence reveals those wonderful unpredictable moments when the canvas is turned right side up and we see ourselves more clearly; leaning into trust and what is being made of our lives. Let’s explore your canvas together. Follow this link to my services page.